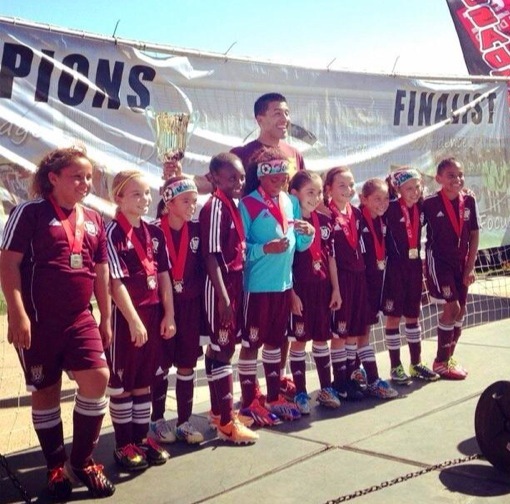 AYSO South Bay’s U9G team coached by Manny Trujillo captured the Crusaders Cup over the weekend of July 5-6. The girls took the championship match 2-1 vs. Crusaders. Coach Trujillo’s squad stormed through bracket play in the tournament’s Flight 3, not allowing a goal until the championship match. These talented young ladies are continuing to improve their touches on the ball, fundamentals and awareness of the game. It is the third recent trip to a tournament finals for this squad.